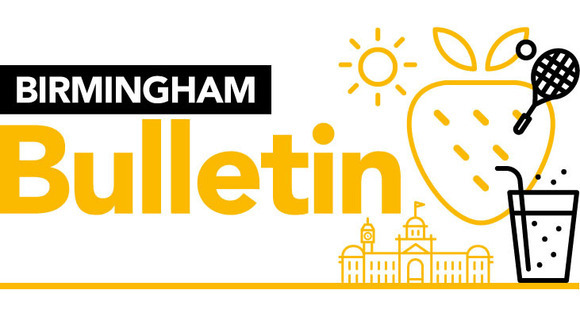 Welcome to the Birmingham Bulletin with the latest news and events from Birmingham City Council. Earlier this year, 15 of Birmingham’s parks were awarded prestigious Green Flag status – now it’s your chance to have your say on which of the city’s parks and green spaces should receive the People’s Choice Award. Whether you enjoy visiting a park to play football, walk the dog, exercise or simply get away from the hustle and bustle, if you think your favourite deserves to be in the top 10 People’s Choice then cast your vote. 12,000 additional burial plots have been officially opened at Sutton New Hall Cemetery. This is a significant investment which will provide sufficient burial land in Birmingham for the next 18 years for those communities who wish to be buried in that part of the city. Applications for secondary school places for September 2019 can be made online from now until 31 October 2018. Before applying, families are encouraged to visit schools at open sessions taking place over the coming weeks and also to carefully read schools’ admission arrangements first. Applications made after the closing date may reduce the chance of your child being offered a place at one of their preferred schools. Have you ever wondered what happens to your recycling once it leaves your kerbside or after visiting your local Household Recycling Centre (HRC)? Then why not come along to one of four recycling drop-in sessions at Tyseley HRC, James Road, B11 2BA on 15th, 17th, 22nd or 24th September. Birmingham Heritage Week continues until 16 September, celebrating the city’s rich and diverse history. Birmingham Extreme Chilli Festival, at Brindleyplace in the city centre, from 14-15 September, has a chilli themed Market, along with live music, fire performers and a few surprises and extreme activities along the way! Black History Month in Birmingham is launched with an event at Birmingham Town Hall on 25 September. Join host and ITV Central weather presenter Des Coleman and an impressive line-up of speakers, performers and artists including Musical Youth. The event is free but tickets must be booked. We're soon to launch Once Upon a Time in Birmingham, an illustrated book of stories about inspirational women from the city (past and present). Find out more and book tickets to the launch event on Saturday, 13 October here. Adventure awaits as Disney’s most adventurous dreamers put their courage to the test in Disney On Ice presents Dream Big. Join fearless Moana and the greatest demigod that ever-lived Maui and journey with the Disney Princesses at Arena Birmingham at 6.30pm on Friday 19 October. The show runs until 28 October. What does Moana’s name mean? Send your answer and contact telephone number to bulletin@birmingham.gov.uk by 23 September 2018. Please put Dream Big in the subject field. 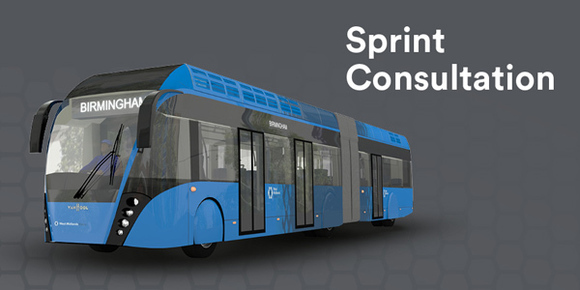 Transport for West Midlands want your views on proposed Sprint public transport routes – A34 Birmingham to Walsall, A45 Birmingham to Solihull and Birmingham Airport, Birmingham to Sutton Coldfield via Langley, and a section of the Hagley Road near Five Ways. Find out more and have your say before 28 September 2018.